BẾN TRE — The Ministry of Public Security on Monday announced it would prosecute two environmental sector officials in Bến Tre Province over illegally imported scrap. 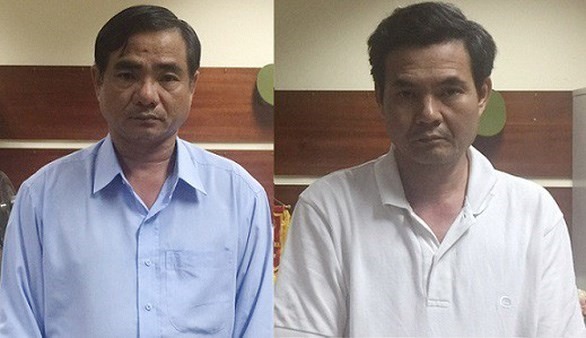 Đoàn Văn Phúc, former deputy director of provincial Natural Resources and Environment Department (currently vice chairman of the provincial Farmers Association) and Trương Văn Em, head of Bến Tre Environmental Protection Sub-Department, were detained on charges of abuse of position and power. The ministry’s investigation agency has conducted an extensive investigation of the case on “illegal transportation of goods and currency across borders" and "abuse of position and power while on duty” at Hồng Việt Construction Service Trading Production Ltd., Co. which illegally imported scrap into the country. According to initial information, on January 12, 2015, the Department of Natural Resources and Environment of Bến Tre Province issued a certificate of eligibility for the import of waste materials for Hồng Việt Company while it did not have a factory, machines or production lines for scrap recycling as regulated by law. From November 2015 to February 2017, the company used this certificate to illegally import more than 5,000 containers of scrap.